When Sima Yi dies, he can cause one person to recover up to full health. These judgments can be from anyone in the entire game. The target of "Wolf" must play their own attack if they want to attack. 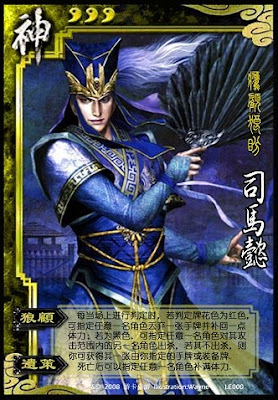 If they refuse or cannot, Sima Yi can take either equipment or a hand card.